A fabulous finishing touch to any lip colour, this deliciously decadent, high-definition top coat is infused with light-reflecting pearls to grant a gleaming finish. Enriched with conditioning kendi oil, they cushion lips with a rich, silky (totally non-sticky) shine that’s guaranteed to captivate your audience. In six shade options – from glistening champagne to show-stopping amethyst – you’ll be hard-pushed to pick a favourite. 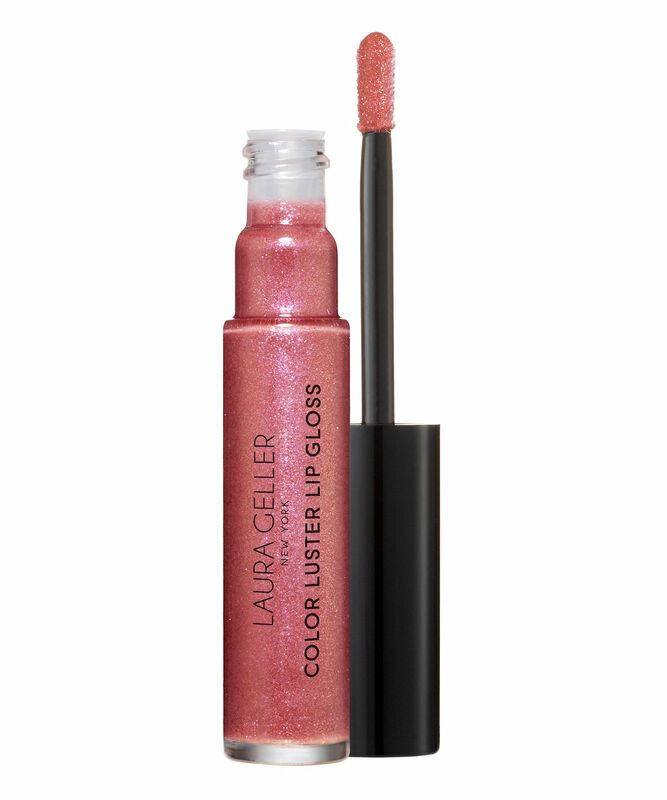 Laura Geller’s Color Luster Lip Gloss Hi-Def Top Coat is the ultimate high-definition lip perfector. Infused with light-reflecting pearls, the lip toppers grant a sheer, glistening golden sheen to bare lips or, when applied on top of balm or lipstick, instantly amp up the ‘wow factor’ – maximising fullness for a plumped-up, voluptuous finish. There are six shade options, allowing you to achieve ultimate day and night-time glamour: from pearly champagne ‘City Lights’ and glistening golden peach ‘Gilded Honey’, to silvery powder pink ‘Diamond Dust’ and statement purple, rose and fuchsia-streaked ‘Amethyst Glaze’, ‘Pink Sapphire’ and ‘Rose Tourmaline’. Enriched with conditioning kendi oil (and free from parabens and mineral oil) they keep lips kissably soft and hydrated, without ever feeling frustratingly sticky (your hair won’t get glued to your lips in a gale). Perfection! Apply directly to lips, or on top of your favourite lip colour.